In honor of The Last Jedi premier tonight, I thought I should post something Star Wars related. 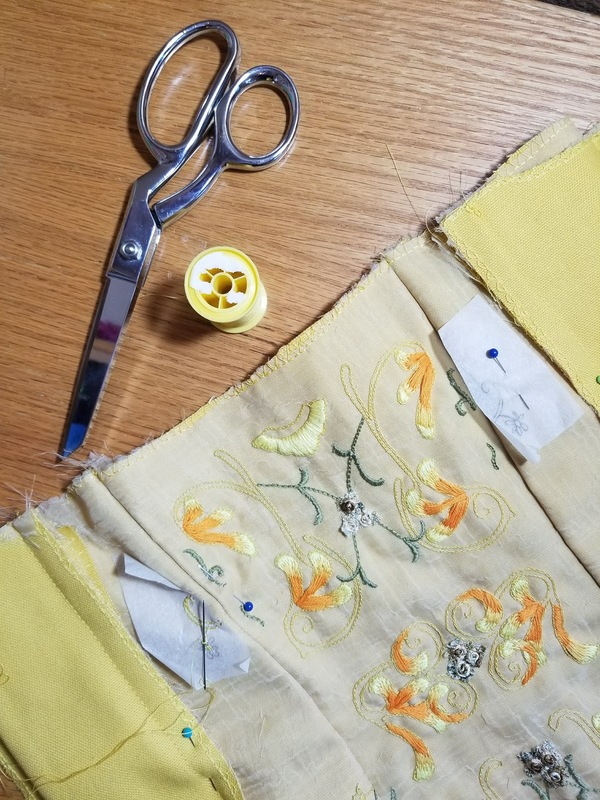 It's been a while (10 months, actually) since I've posted about Project P19/Padme's Picnic Dress, and I thought it was time for an update. I'm still working on the bodice embroidery, and it's getting closer to being completed which means soon I'll be starting the next phase of embroidery: the skirt and blouse (which will be far less complex, but a larger scale). Considering I don't actually know anything about embroidery and I'm just making it up as I go, I'm pretty happy with the result. Since this costume has spent a bit of time in the UFO pile these past few months, I decided to give myself a deadline to finish it before Comic-Con in March. Wish me luck!